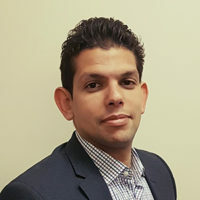 Ahmed is an Analytics Practice Manager for DXC Red Rock. He is an expert in EPM And BI, and with over 11 years’ experience, he is well known for taking complex technical problems and solutions and breaking them down into clear, easy to understand explanations and concepts. Ahmed has been recognized for technical expertise by Oracle as part of the Oracle Ace Program.